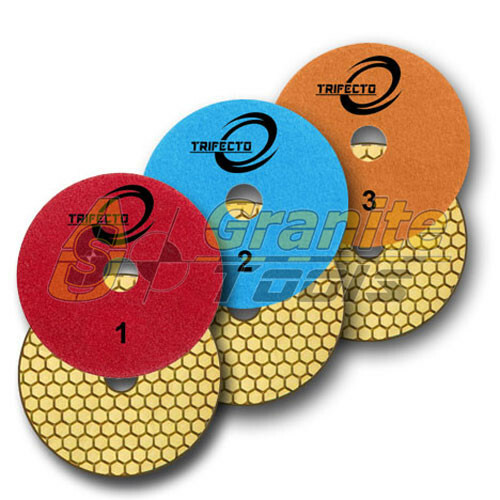 Trifecto Dry/Wet 3 Step Polishing System: It usually takes 7 steps to fulfill a Polishing job. In most cases,at least 5 steps are required. 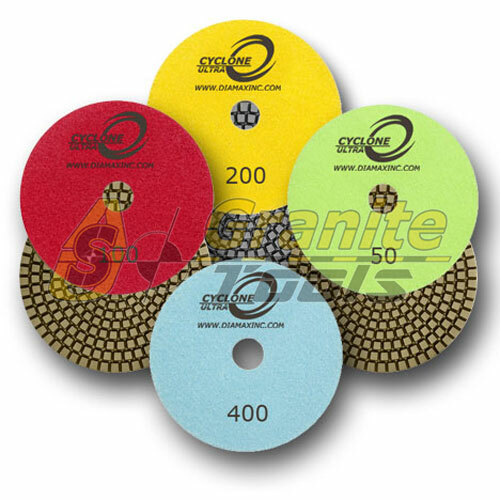 Trifecto Dry/Wet 3 Step has created an innovative new generation of 3-Step Diamond Polishing Pads to produce a high quality shine with only 50% polishing time compared to the regular polishing system. 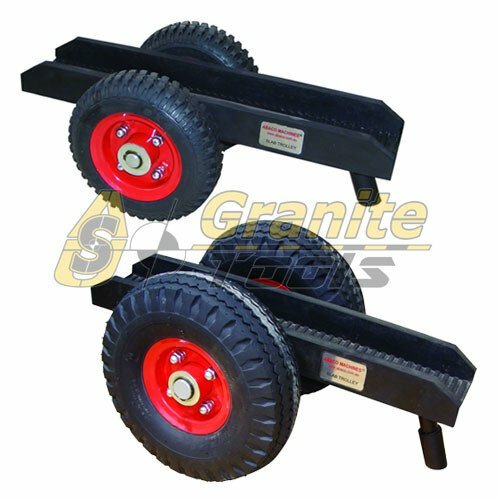 Trifecto Dry/Wet 3 Step pads polish very well on Granite, Marble and other Natural Stones or Engineered Stones. Utilizing the latest Diamond Ceramica Technology, the pads feature aggressive, cost-effective and long-lasting polishing results. 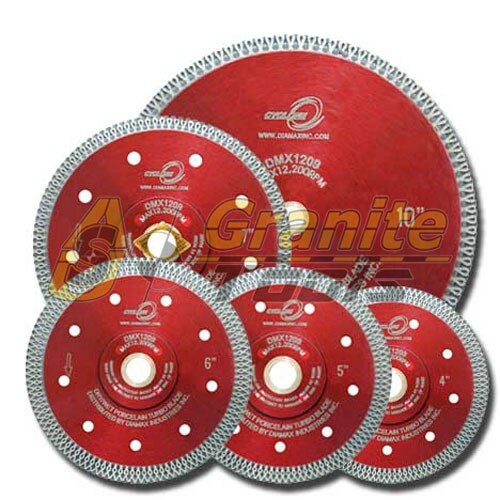 The pads are extremely Rigid so perfect to make flat polishing half bull nose, bevel and full bull nose profile. 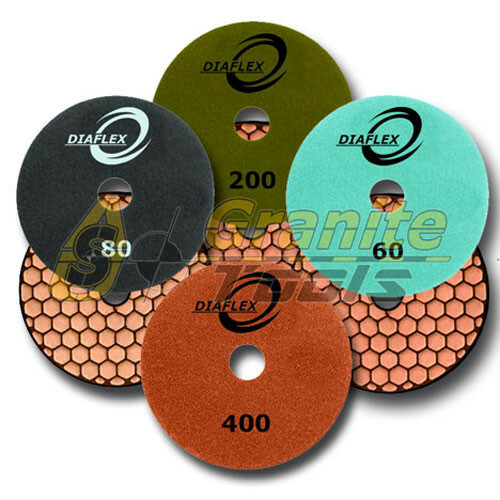 The pads are designed for Dry applications, but Polishing with a small amount of water to Wet the object surface will ultimately reach a better result. 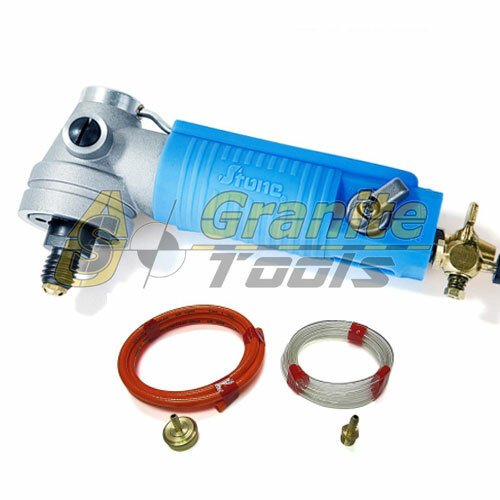 The Stone Pneumatic Wet Air Polisher SIS-AIRSANDER is designed for continuous production applications and improved safety.